You'll be £10.39 closer to your next £10.00 credit when you purchase Struggle and Suffrage in Glasgow. What's this? On a dark January night in 1914, Glasgow’s iconic Kibble Palace at the Botanic Gardens became the target of a bomb attack which shattered 27 large panes of glass. The police concluded it was the work of militant suffragettes after discovering footprints of ladies’ shoes…and an empty champagne bottle and cake. The attack was just one of many incidents as the women of Glasgow battled for the right to vote: marching on the streets, daring escapes from under the nose of police officers, and a meeting which ended in a riot. 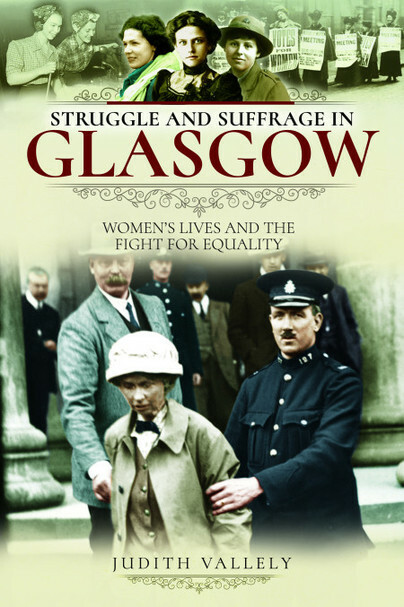 One hundred years from when some women were finally able to go to the ballot box for the first time, this book examines the inspirational women of Glasgow of the time and their quest for equal rights and improvements in all areas of society. The women who challenged miserable conditions facing workers, who fought for a formal university education and helped to improve the health of the nation. The women who took part in the suffrage movement in Glasgow, from the first meetings to militant action and force feeding. The women who took on work from driving trams to staffing hospitals on the frontline when war broke out. And the journey from women gaining the right to vote to being able to take a seat in Parliament for the first time. ‘Struggle and Suffrage’ in Glasgow uncovers stories of the pioneering women of the city who left a legacy for generations to come.